Health systems will soon be required to record leases on their balance sheets, a change finance experts say could tip the scales in favor of buying facilities and equipment rather than renting. Companies currently keep operating leases off of their balance sheets. Under a forthcoming accounting standard from the Financial Accounting Standards Board called Accounting Standards Codification 842-Leases, they'll have to include those leases as liabilities and corresponding assets. In a world where both purchases and rentals are recognized on balance sheets, experts say there may be less incentive for health systems to rent. Ultimately, the question will become: Is it cheaper to buy and finance the purchase through debt, or rent? Rick Kes, audit senior manager in RSM's healthcare group, said that in the current environment, the ability to keep leases off balance sheets can in some cases make renting the better option. Without that perk, some systems might opt to buy instead. If a hospital secures debt financing for a medical office building at a lower cost of capital than a lease, for example, administrators would likely purchase the property if they no longer have the advantage of keeping leases off their balance sheet, he said. "It's just removing one of the reasons organizations would select an operating lease today," Kes said. The new accounting standard takes effect for public companies and not-for-profit health systems with municipal bond debt for annual reporting periods beginning after Dec. 15, 2018. For all others, it will be effective for annual reporting periods beginning after Dec. 15, 2019, although companies can adopt early. Health systems have leases for a wide range of purposes, including medical equipment such as CT or MRI imaging machines. They often rent out space within medical office buildings, a use that Kes said likely constitutes the majority of health system leases. 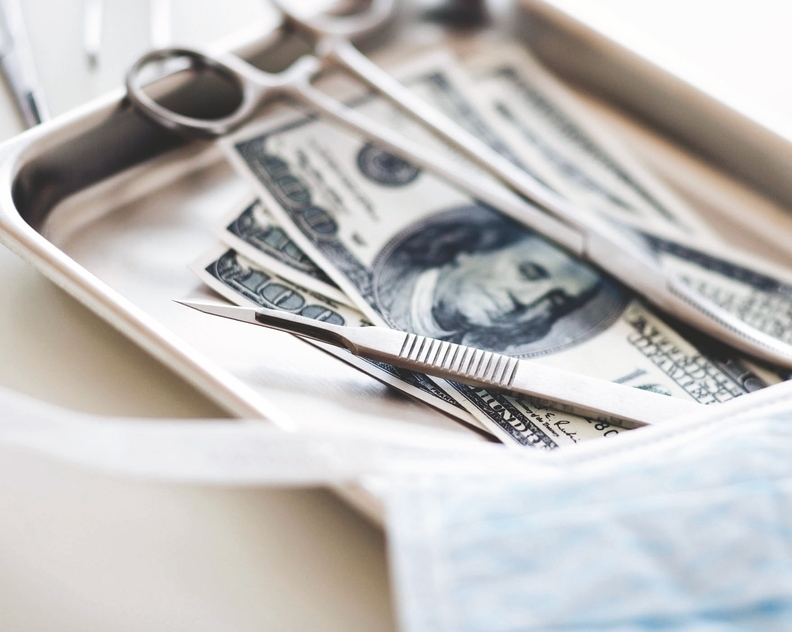 Some health systems already have a policy of financing new equipment or space rather than leasing it, said John Henningsgard, a managing director with Piper Jaffray & Co. in Minneapolis. That's become increasingly common as health systems hire physicians and purchase their medical office buildings. "There is a general belief that, depending on the credit specifics, hospitals or health systems can borrow direct on a tax-exempt basis at a lower cost than if they were leasing," Henningsgard said. "There are exceptions to that, but as it's evolved to physicians being employed and integrated with the hospital and health system, the real estate will be owned more often." Health systems and their commercial banks and lenders have been preparing for the change for years, writing provisions into their financing documents that allow borrowers to elect how they want to treat operating leases once they come onto their balance sheets, Henningsgard said. In effect, the accounting standard won't change their debt covenants. "From our observation, I think most market participants have been following this and understand that it's going to be a change in how these leases are accounted for from a presentation standpoint," he said. "But from a credit standpoint, it's moving how it's accounted for but not changing the overall economics of the credit." Similarly, Mark Pascaris, director of U.S. public finance for Fitch Ratings, said the forthcoming accounting standard won't change how his rating agency views the credit worthiness of not-for-profit health systems once it takes effect. In fact, his agency has already used operating lease expenses—found in the footnotes of financial statements—to calculate the debt equivalent of those leases, a practice he said is similar to that of other ratings agencies. "In terms of how we view creditworthiness, this doesn't really move the dial," Pascaris said. "It's not something we would expect is going to result in some meaningful number of rating changes any time soon." Another kind of lease, a capital lease, is currently recorded as assets and liabilities on balance sheets. Going forward, finance leases—effectively the same as capital leases—will be recorded in largely the same way. A finance lease can mean ownership transfers to the lessee by the end of the lease term, there's an option to purchase, the lease term extends for a major part of the asset's life, the value of the lease payments equals or exceeds the asset's underlying value or the asset is expected to have no alternative use at the end of the lease term, according to global consulting firm Ernst & Young.